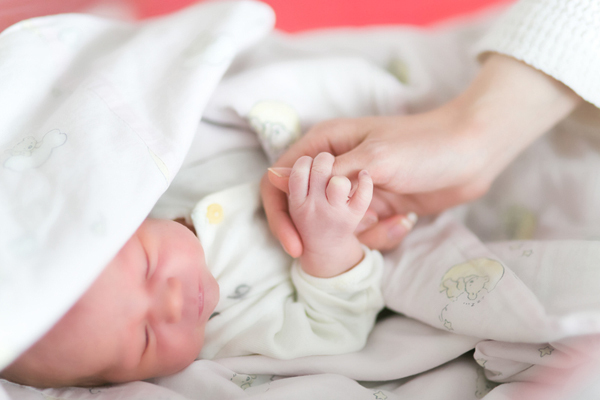 Women’s Clinic of the East Tallinn Central Hospital offers reliable and professional assistance in matters of safe motherhood for women of all ages. One fourth of all the children in Estonia is born in the Women’s Clinic of the East Tallinn Central Hospital. We are the only clinic in the country that holds the Baby-Friendly Hospital UNICEF title. Estonian maternity hospitals create the best possible conditions for childbirth to be as natural and pain-free as possible. Fathers or other support people are present at up to 80 percent of births. Natural childbirth with a focus on experience Under the guidance of an experienced midwife, the mother-to-be can control the whole process herself. A great deal of effort is put into reducing the pain of labour through equipment and techniques like a birth ball or fit-ball, wheeled chairs, relaxing music, an epidural, or mini spinal analgesia. Water births are very popular and staff are specially trained for this and many birthing rooms are equipped with a special bath. A team with wide experience Highly trained midwives have helped deliver babies naturally in Estonia for decades. Anaesthesiologists, gynaecologists and paediatricians are on call round the clock and lactation consultants, psychologists, or crisis consultants are available if needed. It is also possible to request a personal doctor or midwife who works with only one client at a time. The safety of mother and baby is looked after to the maximum possible degree Doctors and midwives can monitor the progress of the birth on the central computer system in real time. All modern diagnostic and treatment methods are used and operating theatres and intensive care departments are on standby to make sure that the health of mother and baby is looked after to the maximum possible degree. High-risk births, including those by mothers aged 39 and over, are regularly handled in Estonia, and there are facilities for mothers with HIV. The EUROPERISTAT report last year put Estonia among the ten best countries in Europe for neonatal survival rates, alongside Iceland, Sweden and Finland. A family-centred environment Family members can be present during the birth, including during caesarean sections. After the birth the parents can stay together with the baby in a specially-equipped comfy ward that feels like a cosy hotel room. The popularity of Estonia’s obstetrics service among families from abroad has risen sharply in recent times. Mothers coming from abroad can also get help with the paperwork and documents for their child. Sample prices: Childbirth package (includes obstetric care with a personal doctor and midwife with catering and family ward for three days): € 2000 (package with a personal doctor and midwife € 2500) *Prices are given as a guideline only. The actual price will depend on the choice of services and may vary between service providers.